Instantly create a strong securing point with guyline eyelet for adapting & securing canopies, tarps, etc. These Kampa Tarpaulin Fabric Clamps are easy to clamp onto most fabrics to instantly create a strong securing point with guyline eyelet. 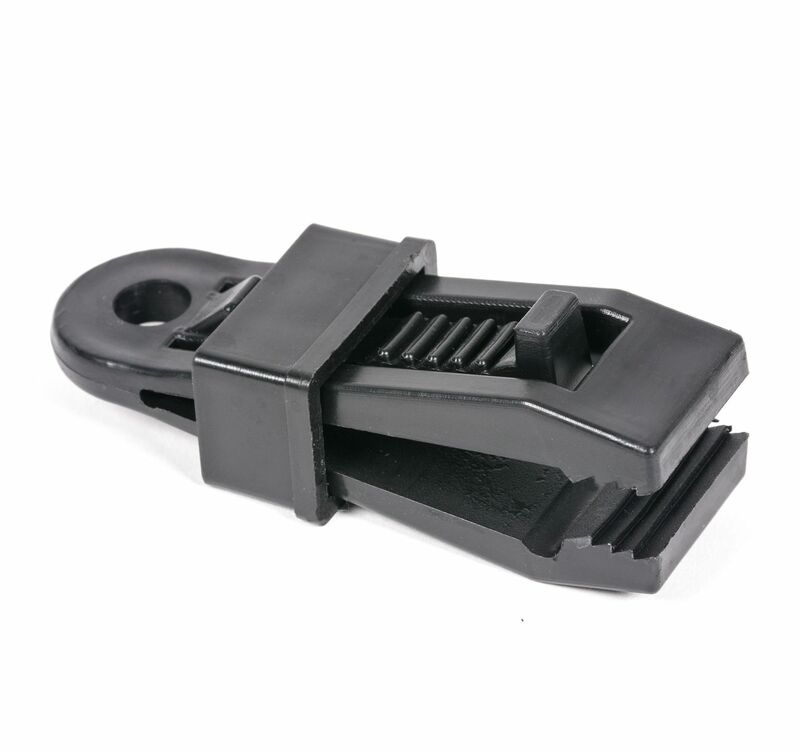 Tarp Clamps will grip onto canvas or synthetic material like polyester and nylon up to 5mm thick with or without a hem. These clamps create an instant eyelet, are easy to move and re-usable. Ideal for attaching extra securing points and guy lines to tarps, awnings, canopies, tents, gazebos, matting, ground sheets and banners. These instant eyelets should be up there with gaffer tape in the emergency kit list and could be the difference between your camping gear making it to the end of a weekend or road trip.